So I have a beef with stuffed peppers. They are too tall. And hard to eat. Do you just bite into it and risk everything falling out? Use a fork to eat it? Do you cut it up and eat it by bites? Walking Mexican Stuffed Peppers. Peppers, that are cut and laid on their sides, filled and cooked. The pepper softens as it bakes, so you can then eat them like a taco. One bite at a time, without a huge mess. Love it! Walk and eat. Walk and eat. 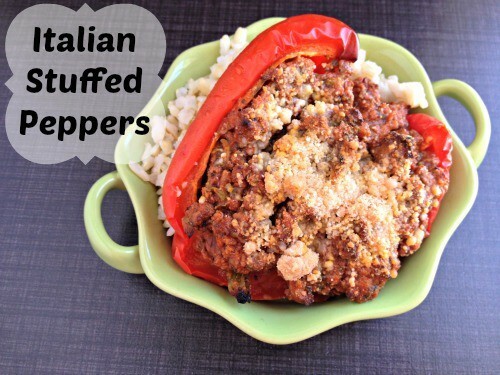 Walking Mexican Stuffed Peppers, just like Walking Tacos! 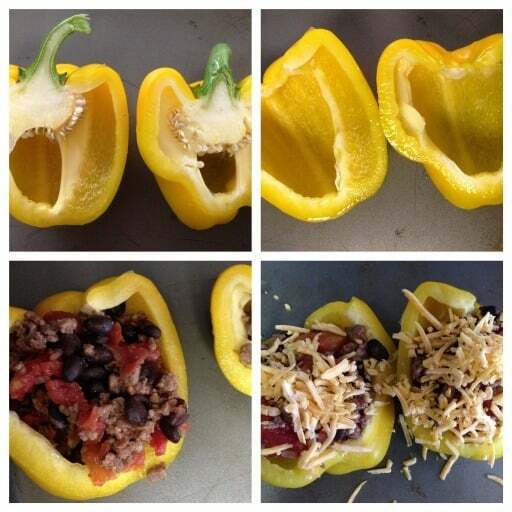 The secret to these mexican stuffed peppers is the way you cut the pepper. When I cut my peppers to chop them, I always cut it down the middle first and then in pieces. When I cut open a pepper to make stuffed peppers I have such a hard time getting all the seeds and pith out of the pepper. As a result, I came up with the idea of cutting it open sideways and placing it in the dish so it can help you clean it easier! Brown the ground beef with the onion and taco seasoning. Cut the peppers vertically and scoop out the insides and seeds. top with a pinch full of cheese on each pepper. Bake in the preheated oven for 15 to 20 minutes, or until cheese has melted and peppers have softened. 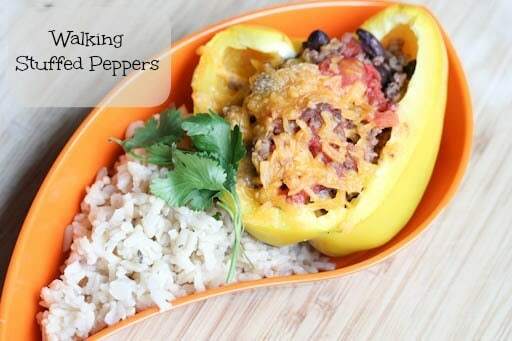 Serve Walking Stuffed Peppers with a side of rice and chips & salsa. 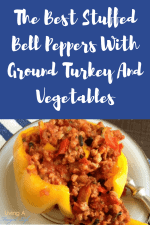 You can even use this recipe for stuffed peppers with couscous and put the filling in a pepper to make it a walking stuffed pepper too! 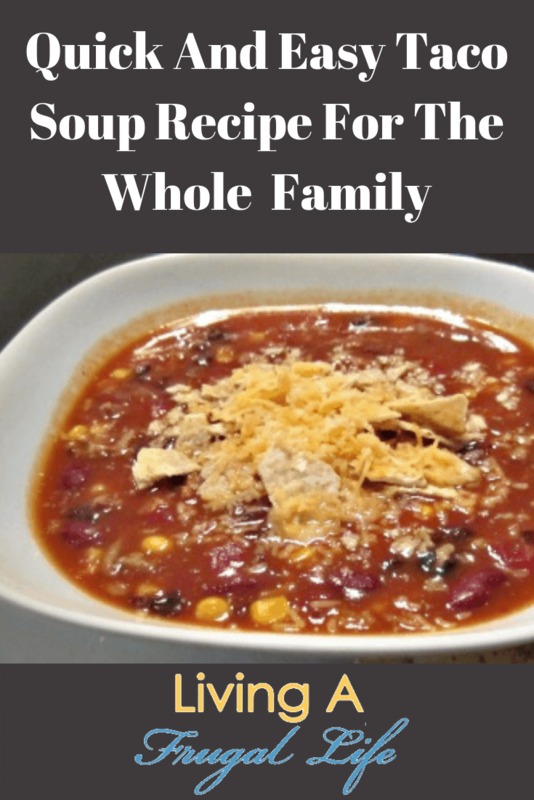 In a mixing bowl, combine the beans, corn, tomatoes, cilantro and seasoning. Fill up the pepper "shells" and top with a pinch full of cheese on each pepper. 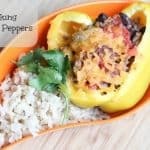 Serve Walking Stuffed Peppers w<g class="gr_ gr_94 gr-alert gr_gramm gr_inline_cards gr_run_anim Grammar only-ins doubleReplace replaceWithoutSep" id="94" data-gr-id="94">ith </g>side of rice and chips & salsa. 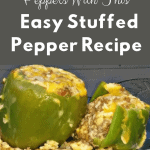 Looking for more stuffed green bell peppers recipes? Check out the others we have here! 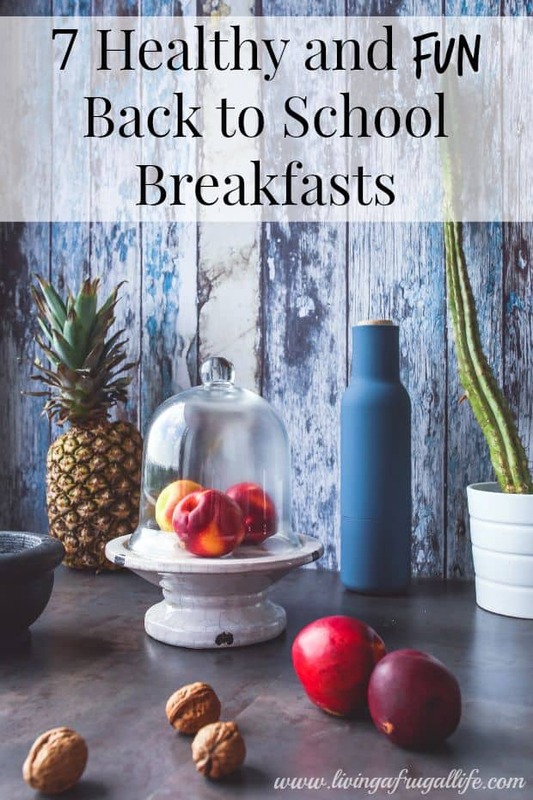 Erin Chase is the founder of $5 Dinners.com and author of The $5 Dinner Mom Cookbook series. 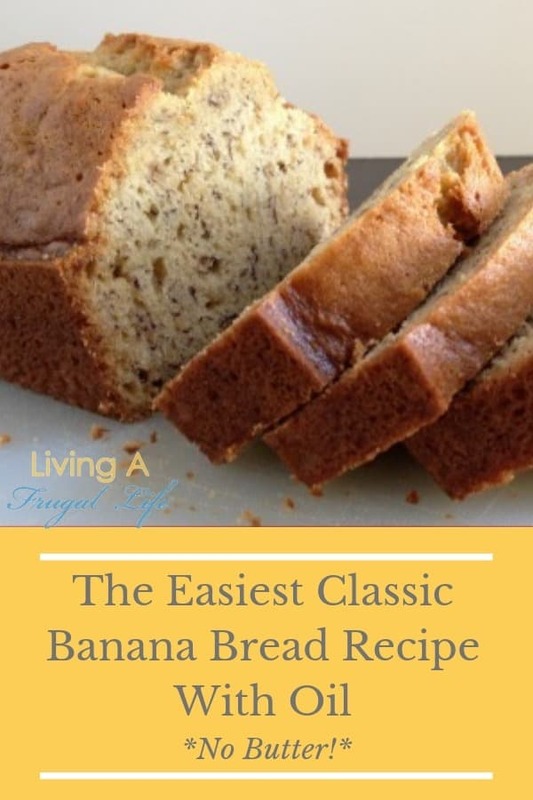 When not in the kitchen whipping up fabulous and inexpensive meals, she’s working hard to keep her 4 rambunctious little boys out of trouble, and out of the emergency room! She lives with her family in San Antonio, TX. What a great idea! 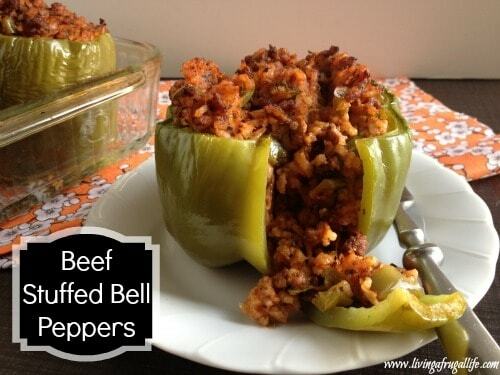 I need to make stuffed peppers very soon. 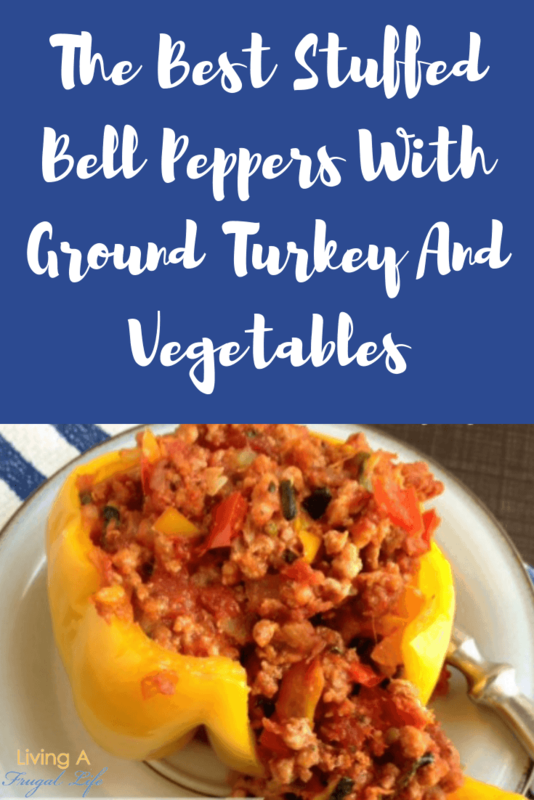 🙂 Thanks for sharing all of these stuffed pepper recipes, Melissa! No problem! I am loving trying so many different ones. Surprisingly my husbands favorite has been the one with the most veggies! 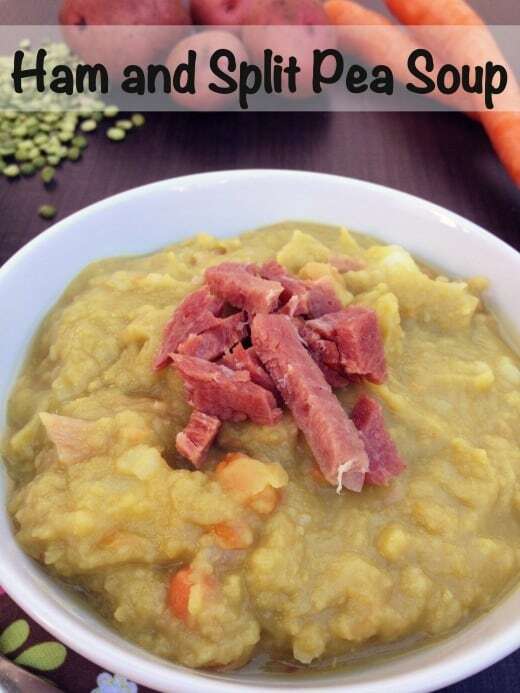 great way to get veggies in your family I think! 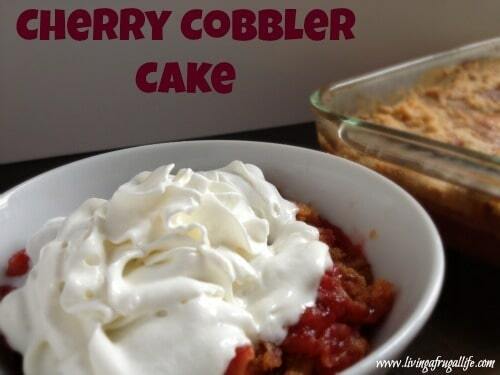 I made these tonight and they were delicious! 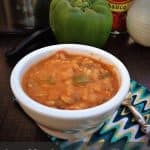 So versatile too – I didn’t have beans or corn on hand, so I subbed rice and salsa. 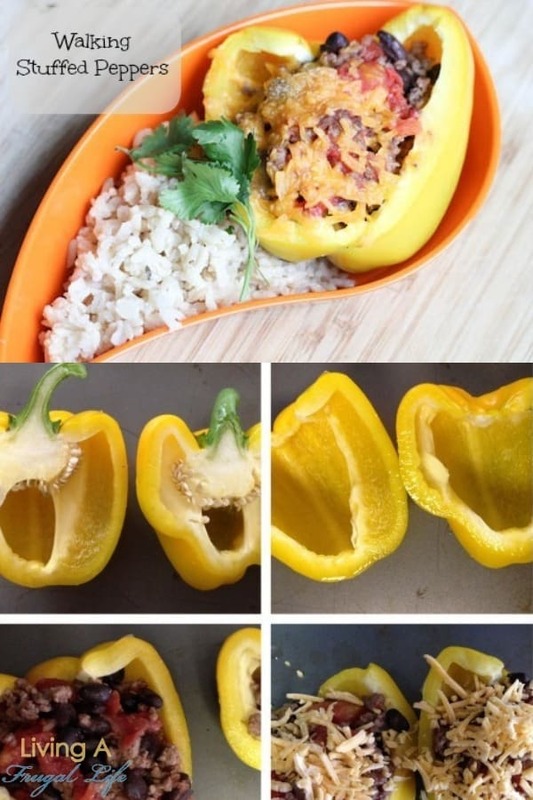 Love the idea to turn them into walking taco peppers! Thanks so much! So glad you enjoyed them and a great idea with the substitution!